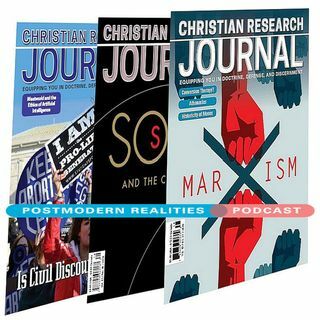 This Postmodern Realities episode is a conversation with JOURNAL author James N. Anderson about his article The Internal Testimony of the Holy Spirit How Do You Know That the Bible Is Gods Word? Topics covered in this episode include what is meant by the internal testimony of the Holy Spirit? Why is it important to know that the Bible is Gods Word, and isnt it enough to just to have faith? Is there any biblical basis for the idea of the internal testimony of the Holy Spirit? Is the internal ... See More testimony of the Holy Spirit purely subjective, and does it imply a subjectivist view of knowledge? Is the idea of the internal testimony of the Holy Spirit similar to the Mormon idea of the burning bosom, or are there are important differences? If we know the Bible is Gods Word by the internal testimony of the Holy Spirit, then it seems that arguments and evidences become redundant. Are we putting Christian apologists out of a job?